What does the card say on it? 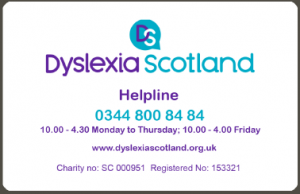 details of Dyslexia Scotland’s helpline and website. The card is the size of a credit card so I carry it around with me wherever I go. 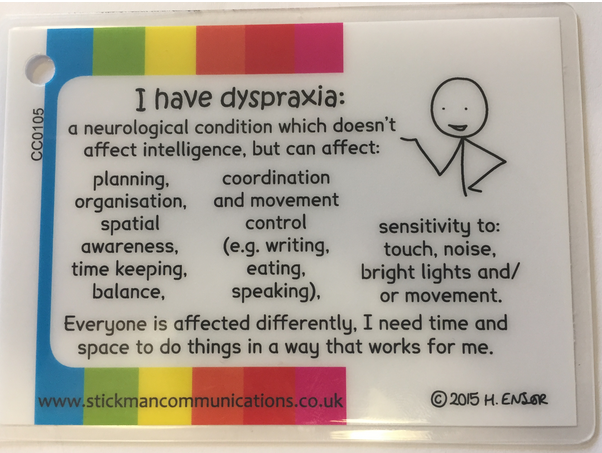 Whenever I am in a situation where I think it will help the person I am talking to, I take the card out and show it to them. 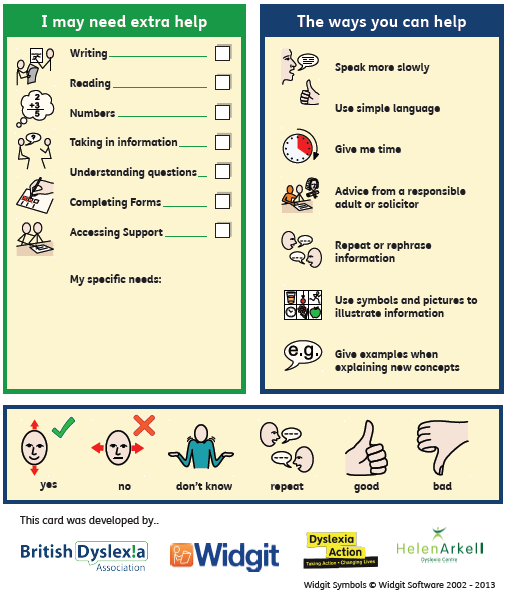 If I use it when I first start talking to a person then it can help prevent problems developing. It’s difficult to predict whether I’ll need to show it or not. If I don’t think I’ll need it, I don’t show it at the outset. But then if problems come up, I use it. I know I can show the card whenever I need. That makes me feel more confident and less stressed about coping with situations. In face-to-face communication as well as over the phone. I think an alert card is helpful for any hidden disability, because it ‘unhides’ the disability. 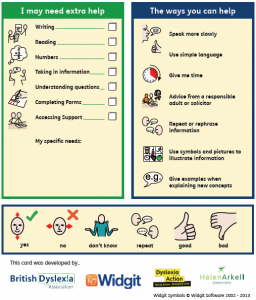 It’s also an idea that any disability group or individual can adopt if they don’t already have their own equivalent. To buy a card (printed on stiff plastic). £1, while stocks last.Tel. 01786 44 66 50 / email info@dyslexiascotland.org.uk. 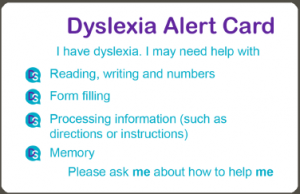 May be of interest to some dyslexic people because there is overlap between dyslexia and dyspraxia, and some people have both.